If you fly with a baby or toddler, at some point, you’ll wonder what the heck you’re supposed to do with your car seat. Check it? Carry it on? Leave it at home? The answer: no, yes, and no. I’ll tell you why and how to take a car seat on a plane. Air travel with a baby or toddler is often stressful enough. You don’t want to add car seat angst to the equation. It’s tempting to rid yourself of that bulky car seat at the check-in counter. But it’s a bad idea. A checked car seat is considered a crashed car seat, which is no wonder, given how airline personnel treats most checked luggage. There’s virtually no way of knowing whether your car seat has been internally damaged in the cargo hold of a plane until it fails to perform when needed. Checking a car seat at the gate is not much better, though it may be treated somewhat more respectfully. How to check a car seat if you do a gate check? Place your car seat in a car seat gate check bag, which has padding and the convenience of straps or wheels. I know, you’re still trying to unload that car seat somehow. But you can’t leave it at home, unless you plan to buy a new one at your destination. Rental car agencies will often rent car seats (in fact, they’re required to do so), but again, you cannot be assured of their safety and crash record. The few times I’ve rented car seats from two different agencies, the seats have been old and worn at best and sketchy on their quality at worst. The easiest way to do this, of course, is to purchase one. Back in the day, meaning, the day my tweens were babies, it was easy to find an empty seat on a plane for a lap child. Now, however, planes usually always full. If you do hope to score an empty seat for your baby and car seat, ask at the gate, not at the check-in counter. They will have the most immediate information. And even if the gate attendant tells you it’s a no go, board after others, and take your seat on-board. The worst they can do is gate check it in your gate check bag. Seasoned travelers advise adjusting the car seat’s shoulder straps to their longest length and using them as backpack straps so Mom or Dad can carry the load hands-free. Ever since hearing this car seat tip, I’ve been kicking myself for allowing car seats to crash into my hip or calves across every airport I’ve ever visited with a baby. And what I wished I had was a car seat stroller. Make sure your car seat’s FAA approval sticker is clearly visible, to avoid problems with flight attendants who may not be well versed in which car seat models are FAA approved (which is almost all of them). 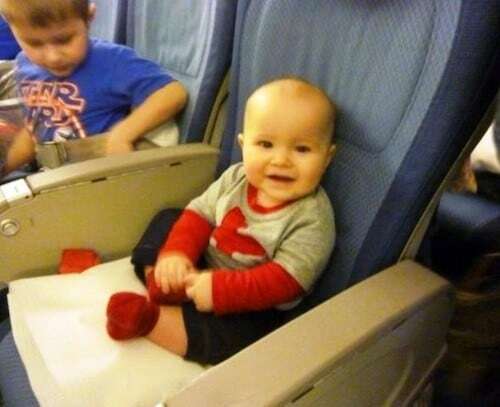 Do you have any tips for how to take a car seat on a plane? It is often a challenge, but with these tips and a sense of humor, you can feel good you are doing the right thing. Why buy a green baby carrier? New parents can do more than just trying to be green and earth-conscious in their home environment. There are pieces of furniture, clothing, green baby toys, and travel necessities to all be taken into account. They can carry this over to the products they buy to care for a new infant, like buying a green baby carrier. Outside of the home, parents will need to plan for the equipment needed to travel with a baby, and buying this equipment in green or organic products will keep the environment and your baby healthy and safe. 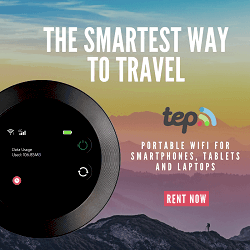 There is so much equipment to consider when going on a trip; whether it is camping in the outdoors, traveling by plane, or just a day trip to the local park or hiking trail. One thing that I see many new parents doing more of these days, is taking their baby for hikes; some just on a simple walking path and others on long treks. 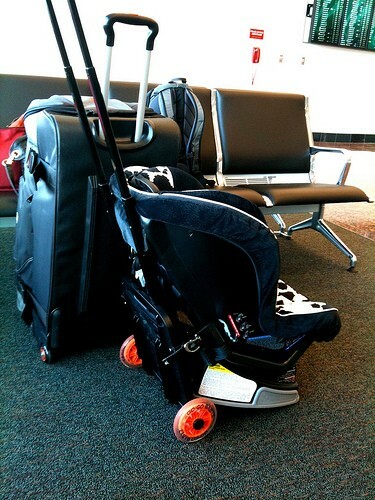 No matter what the duration of the trip is, a comfortable carrying apparatus will be needed to transport the child. Organic baby carriers are available in many different styles. These carriers are a great way of keeping your baby safe and sticking to a green theme. We love this carrier for its sheer simplicity. It’s made from 100% soft, natural cotton and that’s it: There aren’t any other pieces, hardware, metal or plastic closures, etc. It’s also free from harmful chemicals, azo dyes, and formaldehyde. The Baby K’tan Baby Carrier combines the concepts of being a wrap, sling and carrier all in one. There is also a Baby K’tan Organic Baby Carrier line that is made from organic cotton. This green baby carrier is made of 100% organic cotton. Your baby can be in front of you or on your back. The design evenly distributes the weight of the baby to ease on back or shoulder strain. There is not much protection for the baby from the sun, but the padded design will keep baby comfortable. The carrier is made of 100% organic cotton. To classify as organic cotton, the material is produced without using harsh chemicals. The cotton is grown using natural fertilizers and pest control. This makes for a soft material for the baby’s skin as well as protecting them from harmful substances. This carrier is great for hikes and can be worn on the front or back. There is a sleeping hood to protect the baby from sun or wind and storage pockets for baby’s essentials. 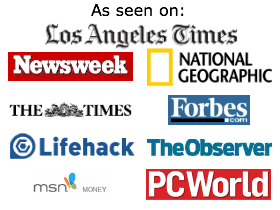 The Moby Wrap is made of 100% organic cotton. The wrap is a simple piece of fabric that wraps around both shoulders and adjusts to how tightly you want your baby wrapped. There are no storage compartments, but this green carrier will keep your baby feeling comfortable with both the warmth of your body and the sound of your heartbeat. The carrier is very versatile and can be worn on the front with baby either facing you or facing the environment, to the side, or on your back. A green baby carrier makes an excellent gift for the mom-to-be who is having a green baby shower. These green or organic baby carriers are a great way to get out and enjoy the outdoors, your hands will be free to use with trekking poles, and baby will be getting fresh air too. Before heading out for your hike or walk, don’t forget to always put a hat and sunscreen on your special little someone to protect them from the sun. Speaking of hats and sunscreen, these are also products that can be found as green or organic in certain brands. When you can, buy organic for baby. Buying the best toddler car seat is an important consideration for any parent. Riding in a car is one of the most hazardous things your little one does, so you want them to have the best protection money can buy. Fortunately, that doesn’t mean buying the most expensive car seat. Instead, you can rely on a few tips to ensure smooth traveling for your toddler. Before looking for the best toddler car seat, review your vehicle owner’s manual. Many parents skip this step, but doing so can simplify car seat buying. The manual should reveal where the car seat should be installed and what kind of attachment system your car has. Most toddler car seats are anchored by standard safety belts or by the LATCH system that is included in most newer cars. Generally, the safest car seats will be anchored in the middle of the backseat, away from any passenger side airbags. Take some measurements in the backseat as well. Bases for toddler car seats come in a variety of sizes and configurations. Not all of these will fit in your backseat. Also, take into consideration whether or not you’ll have other children riding in the backseat, which may limit the available space. Record the measurements, and take them with you to the store. Don’t forget to take a tape measure to the store so you can compare car seat measurements to determine which models will fit in your backseat. Perhaps the most important determining factor when it comes to choosing the right car seat is your child’s height, weight and age. If you’re looking at toddler seats, your child is probably about two years old and ready for a forward facing model. Read the fine print on the packaging for all potential car seats. They should identify weight and height limits which can help guide you to the safest seat for your child. Modern toddler car seats typically feature a five point harness that offers better protection for your child in case of an accident. Moreover, these harnesses usually require more manual dexterity to operate than the average toddler possesses. 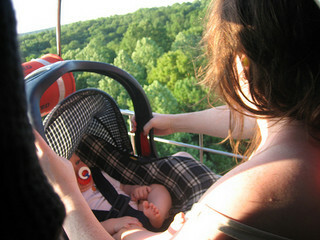 The result is a harness system that actually keeps your little one secure at all times. The best toddler car seat is the one that fits in your backseat and is sized to accommodate your child. Following these guidelines helps you keep your toddler safe on the road. Knowing how to install infant car seat properly is more challenging than you might imagine. Studies performed by the National Highway Traffic Safety Administration suggest that approximately 75% of car seats are not properly installed, which can lead to injury or death. Keep a few guidelines in mind as you install your infant’s car seat to ensure better security on the road. Ideally, the infant car seat is a rear facing model that can be installed in the middle position of the backseat. Take the time to read your vehicle owner’s manual and the installation instructions that came with the car seat. Most car seat installation guides include text and diagrams to make the process easier. Even the do-it-yourselfer who resolutely avoids instructions would be wise to study them in detail. Every infant car seat is a bit different, so even those with experience may find it helpful to review the instructions. If your car is 2002 or newer, then it probably has a tether system known as LATCH. LATCH is an acronym for Lower Anchors and Tethers for Children, and it’s a system that anchors the car seat more securely and with greater ease. You’ll definitely want to make use of LATCH with your infant’s car seat. If your car is an older model, consider taking it to a mechanic who can retrofit it with the LATCH system so your baby can have the advantage of this system. Once you’ve attached the car seat to the LATCH system, check it for excessive movement. Try tipping the car seat forward and from side to side. If you’re able to move it more than an inch in any direction, then it’s probably not secured tightly enough. Take your time, unbuckling and re-buckling until the fit is sufficiently tight. Just make certain that none of the straps becomes twisted in the process. While checking the security of the attachment, pay particular attention to the recline angle on the base of the car seat. Modern car seats often have an angle indicator that tells you when the base is correctly adjusted. Knowing how to install infant car seat is a learning process, and you don’t have to go it alone. Local fire stations and police departments are usually certified to check the accuracy of car seat installation. Contact them to double check your car seat to ensure your baby’s safety on the road.